Effective copywriting relies on a level of psychological understanding that can take years to learn and even longer to execute properly. In other words, getting your customers to respond to your ad copy can be difficult if you haven’t studied marketing for long. However, when you strip marketing copy down to its bare basics, you’ll find that most effective sales pages and advertisements have the same basic elements in common. Obviously there’s something to be said about the layout of an ad or web page, the call to action you use, and more, but let’s strip things down even further. The proper marketing angle can make a huge difference when persuading customers to buy. Start by exploring these seven simple but powerful marketing angles. Everyone likes easy. No one wants to work harder if there’s an easier solution out there that will produce the same—or better—results. It doesn’t have to be that obvious, however. The website builder Strikingly uses a similar approach without ever using words like “easy” or “simple.” Instead, phrases like “Create a beautiful website for you & your business, in minutes” and “Zero code or design skills required” communicate how easy their service is to use. By this principle, if “everyone’s doing it”—buying your product, enrolling in your course, or signing up for your newsletter—then the next person to come along is more likely to engage in the behavior as well. The key with this marketing angle, however, is to show it to your customers rather than stating it explicitly. This comes in the form of social proof. Have you ever seen the McDonald’s signs that say “Billions and Billions Served”? How’s that for social proof? Hubspot takes a similar approach to encourage newsletter sign-ups. “Join 215,000 Fellow Marketers” isn’t exactly complicated copy, but it definitely packs a punch. For one, it highlights the newsletter’s popularity through a hard number. Two, it speaks directly to Hubspot’s target audience and encourages them to jump on the bandwagon that so many people just like them—“fellow marketers”—have already done. 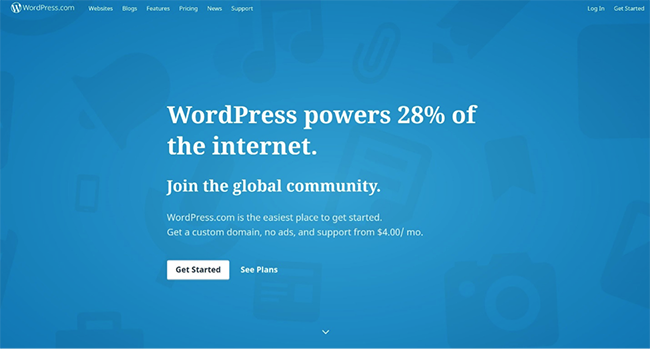 Even WordPress takes the popularity angle by mentioning their global community—and the fact that 28% of website owners trust the software to run their site. Every product or service should solve a problem, but customers aren’t always aware of the solutions. You can really make an impact if you highlight that for them. Sometimes, this is stated explicitly. Take this example from Crazy Egg. The problem and solution are clearly laid out. 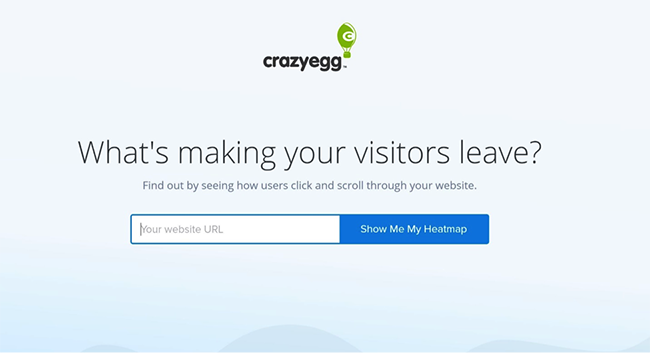 Problem: your visitors are leaving. Solution: Use Crazy Egg’s heatmap to identify why. Other times, customers know their problem and the solution. You just have to show that you’re what they’re looking for. 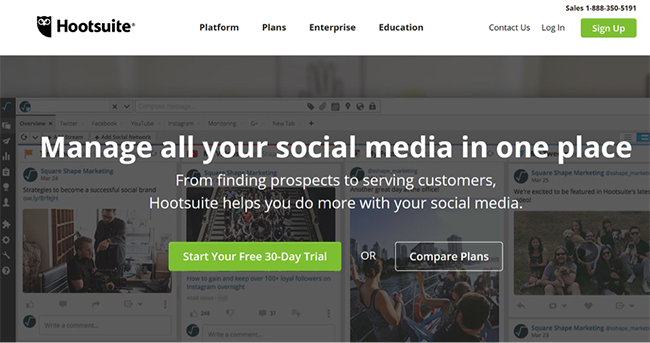 For example, Hootsuite solves one of the biggest problems in social media marketing by making it easy to manage all your profiles in one place. Their home page makes this solution clear. In today’s fast-paced society, time is valuable. If your product or service helps people save time in any way, it never hurts to highlight this benefit. Being a productivity app, time-saving is kind of their thing, but this angle can be used in any industry. For example, Esurance takes the time and money-saving approach like in their popular “Beatrice” commercial from 2014. T-Mobile is another large company that has focused on money-saving in their advertisements. In 2017, they ran a series of commercials highlighting the comical side of added taxes and fees to show that they now include all this in your bill. The interesting thing about T-Mobile’s commercials is that they never explicitly say they’ll save you money, and they don’t claim to be the cheapest service out there. Instead, they use phrases like “Don’t pay more” to capture that sense of money-savings. Apart from the avid gambler and investor, people don’t like to take risks with their money. That’s why the idea of signing up for something risk-free is so appealing. 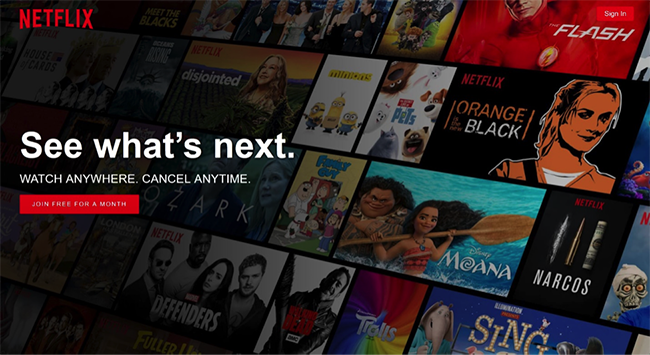 Notice how Netflix conveys this risk-free experience through language like “Cancel Anytime” and “Join Free for a Month.” Even though customers are getting the first month free, this sense of security in signing up—and the idea that you can back out at any time—helps funnel more people toward the service, growing their customer base and increasing their revenue with those who stick around. Many other companies use a similar marketing angle. For example, most email marketing services offer a free trial or a money-back guarantee, making customers feel better about signing up for the service. Limited-time offers are hard to resist, but they get people to act fast because they don’t want to miss out. To make the most out of this “now or never” approach, tie it to one of the marketing angles mentioned above. The most common of these is a money-saving offer. Here’s a great example from Vistaprint. 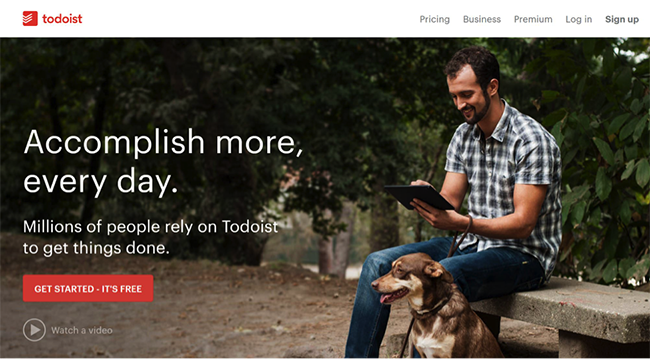 In just a few words, customers know that they’ll be saving money if they order now. If they don’t, the offer will expire tomorrow and they’ll never get a chance to use this amazing coupon code. You can also create time-saving or risk-free offers. For example, customers could save time when the offer is tied to free expedited shipping, or the offer could be linked to a limited-time freebie. Marketing effectively can take time, practice, and a lot of testing, but these seven marketing angles will get you pointed in the right direction. What marketing angle will your business take when writing copy for your next marketing campaign?